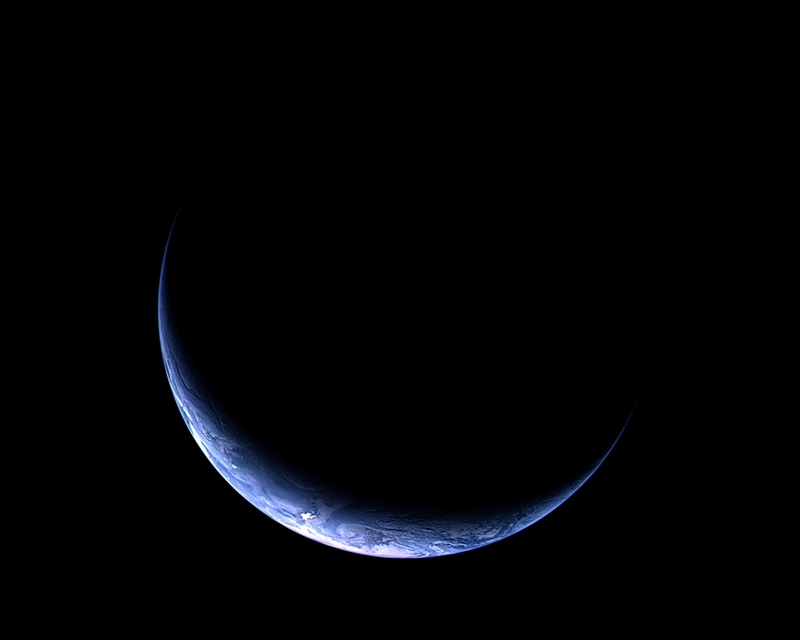 This image of the Earth was captured by the OSIRIS instrument on-board Rosetta as the spacecraft approached Earth for the mission's third and final swingby. The image was acquired with the OSIRIS narrow-angle camera (NAC) from a distance of 633 000 km on 12 November 2009 at 12:28 UTC. The resolution is 12 km/pixel. Three images obtained with an orange, green, and blue filter were combined to create this colour image. 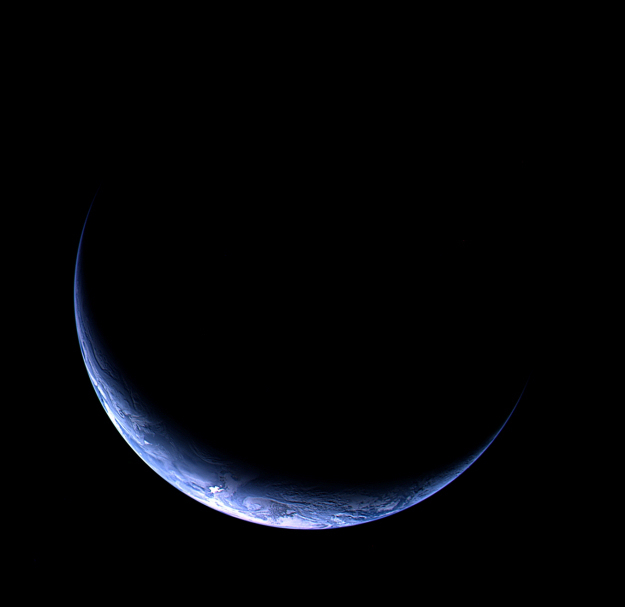 The illuminated crescent is roughly centred on the South Pole (south is down in this image). The outline of Antarctica is visible under the clouds that form the south-polar vortex. Pack ice in front of the coastline with its strong spectacular reflection is the cause for the very bright spots in the image.